Apparently my grasp of the alphabet has been pretty loose this week. Not my fault, iTunes. Anyway, out of order but not forgotten, the White Stripes. I think I’m not the only person of a certain age who recalls the arrival of the White Stripes as a game changing event of Beatlesque proportions. Before, the musical landscape was one way, and afterwards it was completely different. I however, was not on the vanguard who discovered the wonder of Jack and Meg in 1999 or 2000, unfortunately. I had to wait until they became mainstream, because I didn’t have the internet in those days. But even if I wasn’t aware of it, the change was brewing. Listening to songs from De Stijl, you can’t say that it sounds like the year 2000. It sounds like the future and the past, but it doesn’t sound one bit like what passed for music in the year 2000. Welcome to the most played riff of the new century. You could even say ‘overplayed’ since the riff has We-Will-We-Will-Rock-You’ed its way into sports stadiums all over the world. But the ubiquity of the former little-garage-band-that-could from Detroit shouldn’t overshadow the importance of their impact. You could say, in the pompous tones of a newsreel narrator, that The White Stripes changed the world forever. (Changed the world… forever.) But what the White Stripes did was change a lot of lives. I remember the exact moment when that riff made me prick up my ears, in the community theatre basement where I was sewing costumes as a summer intern, age 20 and as convinced that rock music was dead as Nietzsche was about God. If I had been more musically gifted, it would have been my Elvis-gets-his-first-guitar moment. Still, it was enough of a life changer just to know that rock wasn’t really dead and there was new music worth caring about. (I told Jack White as much on the one occasion I crossed paths with him, and he said “I’ll take that.”) Now, 15 years later, being the generation that discovered and nurtured the White Stripes feels historically significant, like your parents and their punk records, or any other group whose deeply personal cultural experiences have in hindsight appeared to be the definitive cultural experiences of their time. 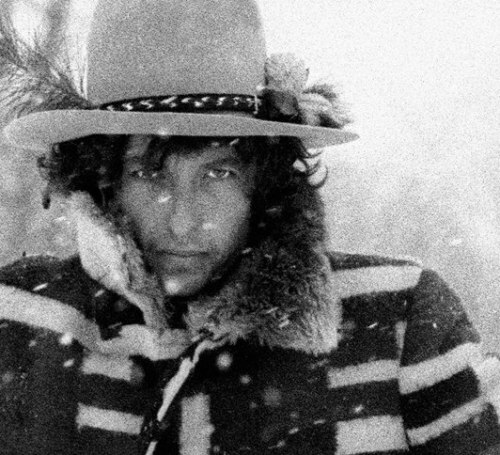 I’ve always wondered where Bob Dylan thinks he’s going, and what he’s planning to do down in that valley. It feels like a fragment of some larger epic journey. There’s something heroic and tragic about it. He is on a quest of some kind; like Odysseus, he’s waylaid by a beautiful, mysterious stranger; she is a goddess with her own path to follow; who knows how long they’ve dallied together but now she must let him go. But first a little coffee for the road. It’s the mundane detail of the coffee that really makes the story – epic tales are nothing but bluster without the mundane to bring them to life. Now mind you, Bob Dylan doesn’t usually capture my imagination quite this way. Sure, plenty of his songs are epic and full of their own mythology, but they’re also willfully obtuse, jokey, satirical. It’s hard to interpret Bob Dylan’s 115th Dream as a hero quest; more like a buffoon’s comic picaresque. But this is a serious song here, a real hero quest, perhaps an allegory for the trajectory of life, perhaps just spilled over with sadness from a man freshly divorced. Anyhow you look at it, it’s a different level for Dylan. And, as with many of Dylan’s songs, other singers have hit it out of the ballpark, especially those with superior vocal abilities, i.e. Jack White, Robert Plant. Never having seen the White Stripes is one of the biggest things in life I’ve missed out on. They came, went, and ended all before I had the resources to pursue seeing music. But at least I’ve had the privilege of witnessing the developing phenomenon of Jack White in real time. I think he’s without a doubt the most important figure to emerge within my lifetime, and I’ve met plenty of people who speak of him in even more trembling terms. I’m ready to love anyone who wants to just be weird for the sake of it, and few people get as weird as Jack. The more experimental, the better. The mighty marimba, for example, is sorely underused in popular music. 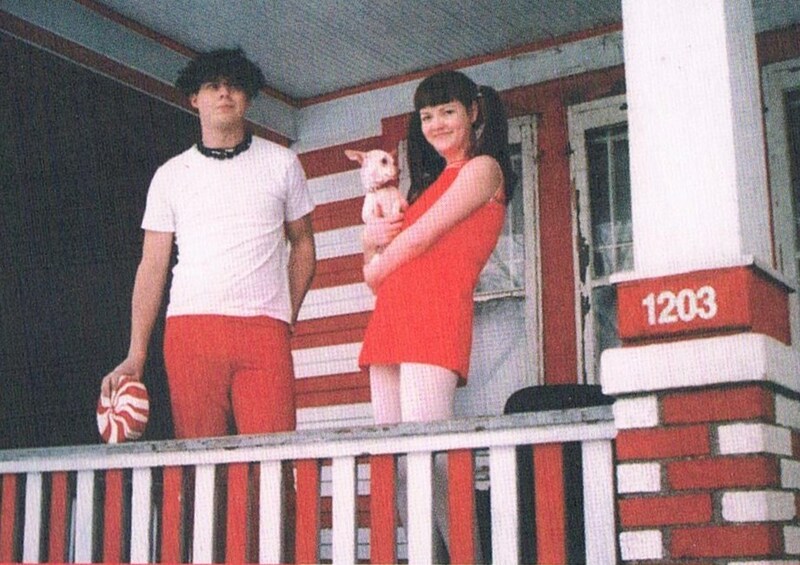 Incorporating the unexpected into their vision so seamlessly was one of the best things about The White Stripes; in their singular world, obsolete equipment and odd instruments were like lost toys rediscovered. Each album was like a musical thrift store of forgotten treasures. When you gonna ring it? When you gonna ring it? Keep it sweet and astute, Jack. The White Stripes managed the oxymoronic feat of making simplicity into a high concept. A three-tone color scheme, a guitar and a drum set can carry a world of intricate personal vision, it turned out. Being a concept group wasn’t sustainable, in the end, but how well they sustained it while they could. I was immediately awed by Jack White’s masterful command of image and reference, and it’s still one of my favorite things about him. But having a cohesive graphic image aside, let’s not overlook the bare bones of what makes The White Stripes still matter. Their music was always just so simple and sincere. No amount of funny hats could distract from that. The final offering from the White Stripes’ ‘little’ series (although not chronologically). Also, at 50 seconds, the shortest. Despite being so short and radically minimalist, it’s one of the best commentaries on the conundrum of fame that I’ve ever heard. Fame, creativity, success and resources are all intertwined but don’t necessarily fuel one another in constructive ways. Which is to say; great creativity demands greater resources, great creativity leads to fame and success, fame and success attract increased resources, increased resources are supposed to fuel more creativity but sometimes end up doing just the opposite. It’s a frustrating fact of life than many a creative person has bumped up against on their rise to the top. It’s bloody hard to hold on to the ideas that drive you when your entire life is turned inside out and you’re suddenly thrust into the malevolent wonderland of celebrity-hood. It’s not just the danger of losing your street cred or authenticity. Many new-fangled stars find themselves losing their most basic sense of identity. Even for those who don’t immediately spin out in a whirl of substance abuse and assorted other bad behavior, it can be difficult to continue finding things to say – to care about, even – when their resources and situation are altered beyond their wildest dreams. That’s exactly the point Jack White makes so concisely, and he would have reason to dwell on those things. 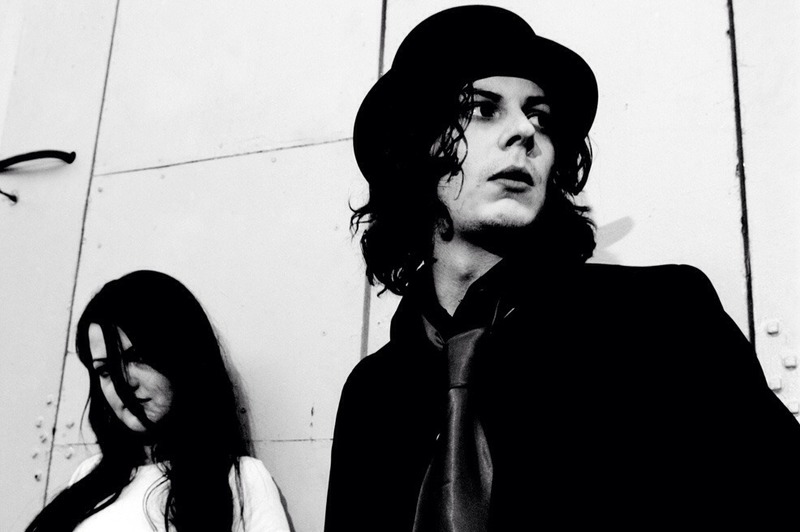 White Blood Cells was the White Stripes’ first real commercial success, the record that finally brought them serious fame, and all the upsides and downsides that come with it. For a band so passionately concerned with the authenticity of their own idiosyncratic sound and image, which they had heretofore nourished in relative isolation, the pressures of public scrutiny and the increased expectations put upon them would naturally be cause for a bit of an existential crisis. Fortunately for all, The White Stripes never did suffer the identity diffusion and loss of focus that this song worries about. They managed to carry on knowing exactly what they wanted to do, and making the best possible use of the bigger creative space they were afforded. 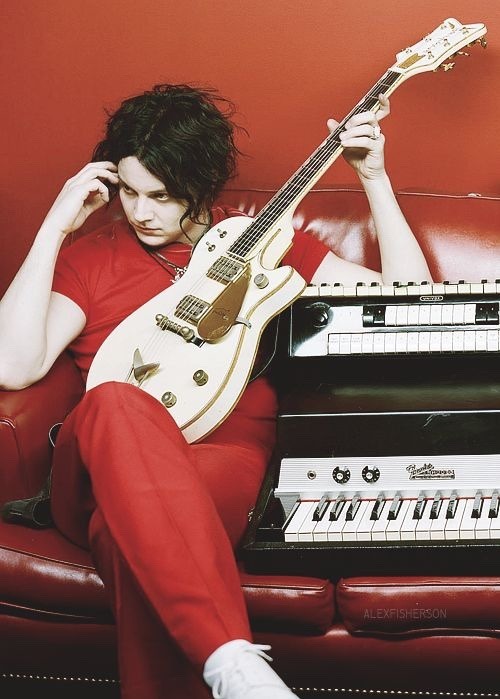 As Jack White has continued doing with a variety of projects since their breakup, and no doubt will go on doing so until the wolves come home.